Insert the work as an original fact in the process of liberation, place it first at the service of life itself, ahead of art; dissolve aesthetics in the life of society: only in this way, as [Frantz] Fanon said, can decolonization become possible and culture, cinema and beauty—at least, what is of greatest importance to us—become our culture, our films, and our sense of beauty. On the release of La Hora de los Hornos [The Hour of the Furnaces] in the U.S. in 1971, New York Times critic Vincent Canby remarked that “…the work might well turn out to be a polemical epic, an essay film of a political, cinematic and psychological complexity unlike anything I’ve ever seen.” Authored by the Argentinean Cine Liberación Group (directors Fernando Solanas and Octavio Getino) and produced clandestinely between 1966 and 1968 under the threat of reprisals by a military dictatorship, the film was initially shown in meetings of workers and activists, cultivating space for political debate and inciting action. 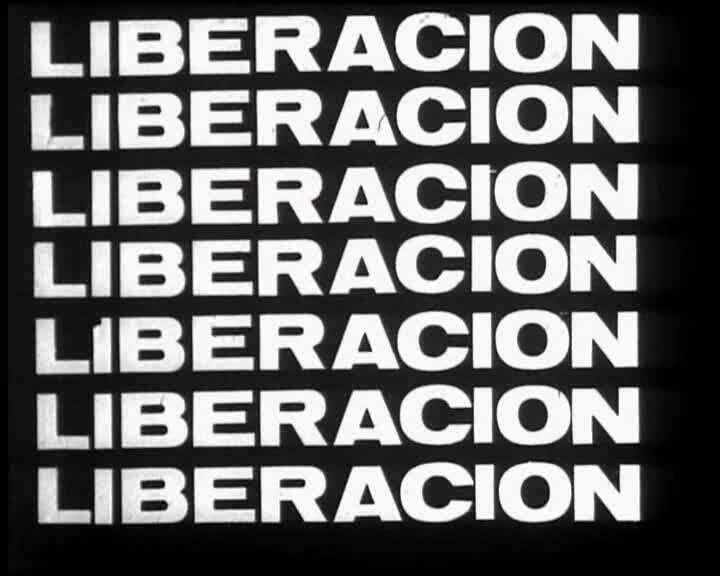 La Hora de los Hornos is divided into three sections: “Notes and Testimonies on Neocolonialism, Violence and Liberation” (88 min); “Act for Liberation” (110 min); and “Violence and Liberation” (34 min). It forms an analysis of the social, economic, historical, and cultural aspects of life in Latin America, and particularly Argentina, in the 1960s, and the neo-colonial forces that defined them. Between sections of the film, the intertitle OPEN SPACE FOR DIALOGUE reflects the intent of the filmmakers towards the active formation of autonomous spaces of political dissent and self-determination.